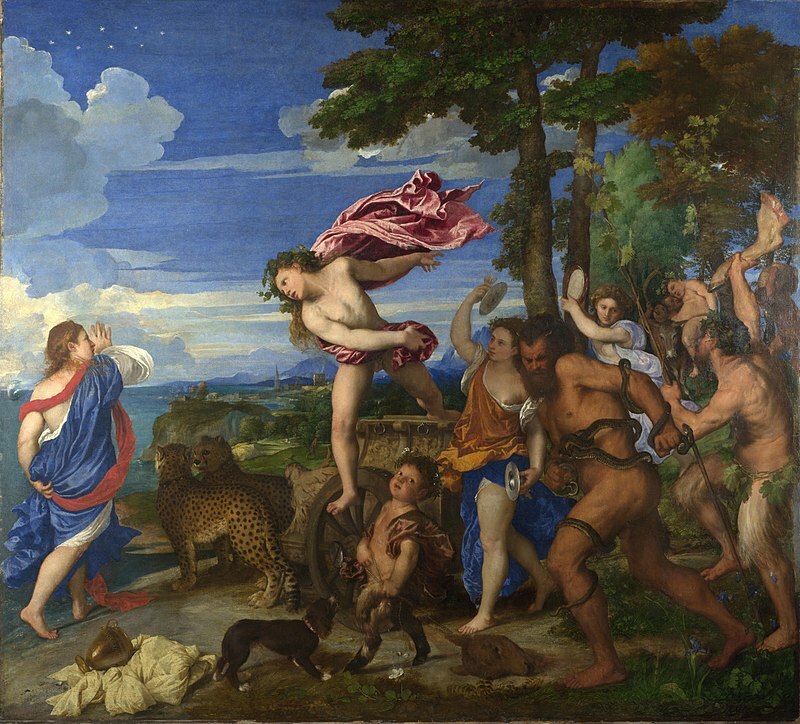 Bacchus and Ariadne is an oil on canvas painting undertaken by Titian between 1520-23 for the Ducal Palace, Ferrara, and was commissioned by Alfonso d'Este, Duke of Ferrara, and depicts the tale of Narcissus from Greek mythology. 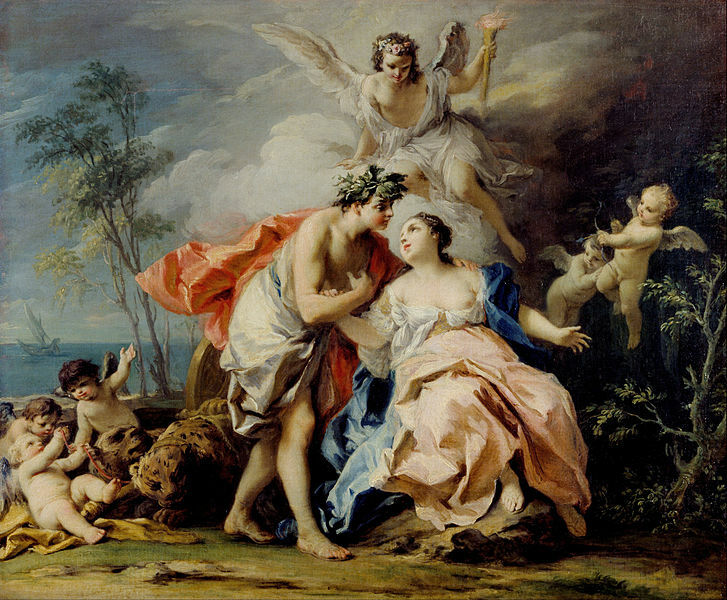 Bacchus and Ariadne shows the god Bacchus (Dionysus) discovering the abandoned Cretan princess Ariadne; Ariadne having been left behind by Theseus upon Naxos as the Greek hero returned to Athens. 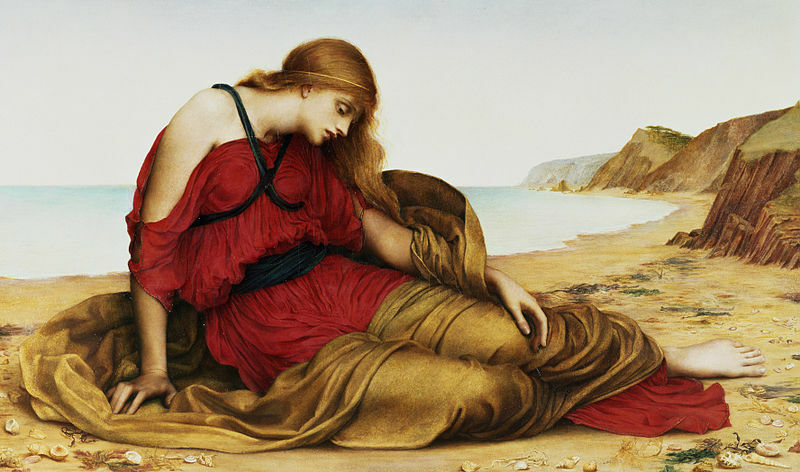 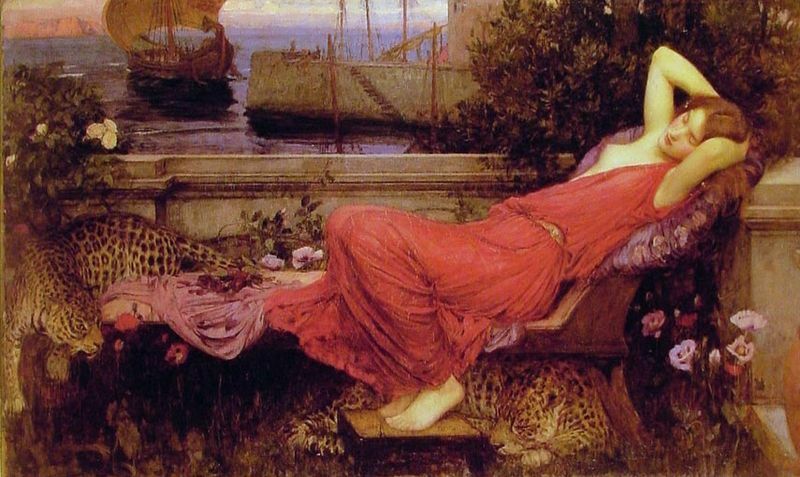 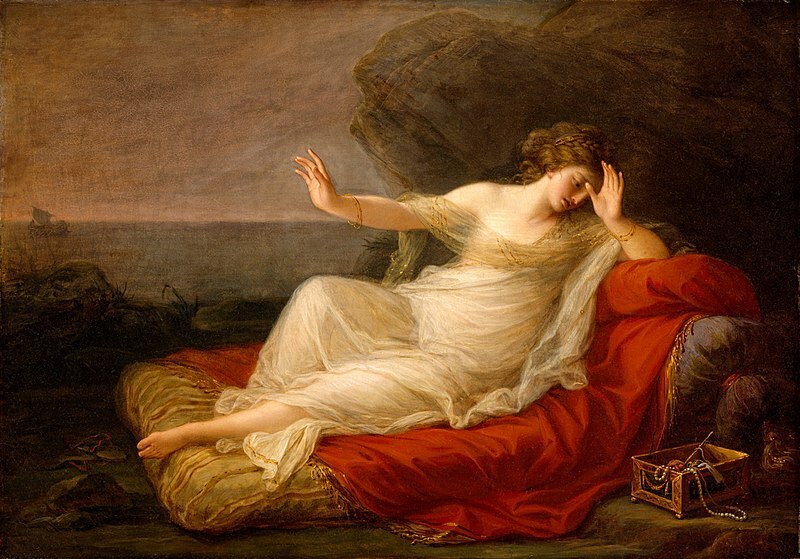 Theseus abandonment of Ariadne though, saw princess and god marry, with Ariadne made immortal in the process.